Check out Blue’s ArtHouse newest creation! 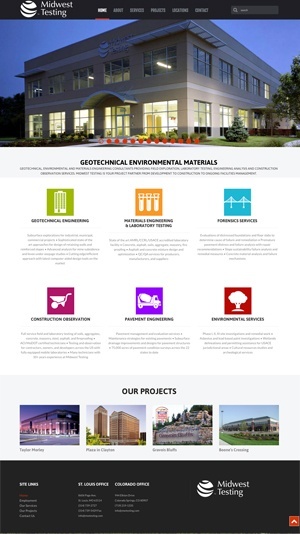 This custom professional website is for Midwest Testing, a geotechnical, environmental and materials engineering consultant company in St. Louis. Blue’s ArtHouse designed their former website many years ago and we were thrilled to give them an new and improved, ultra-modern, and mobile friendly website.